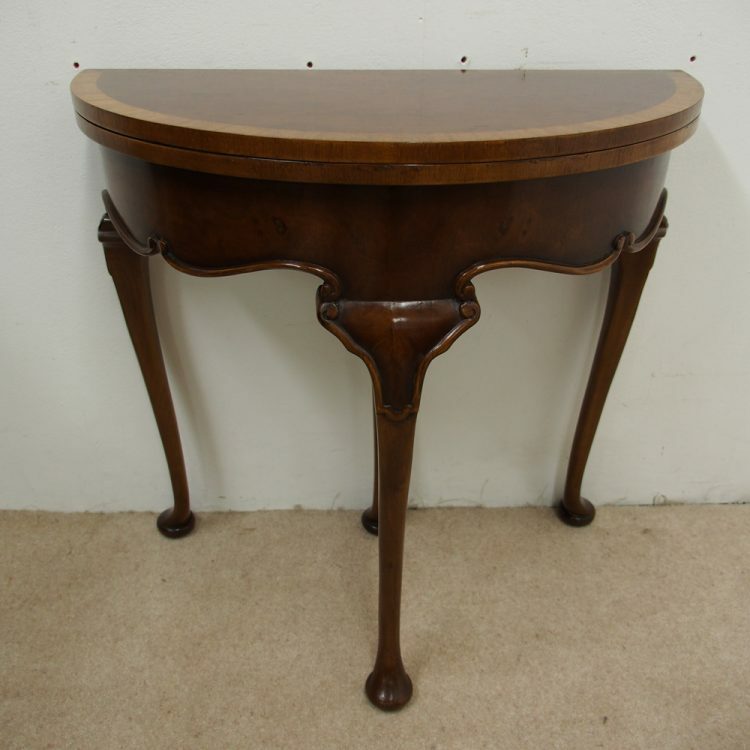 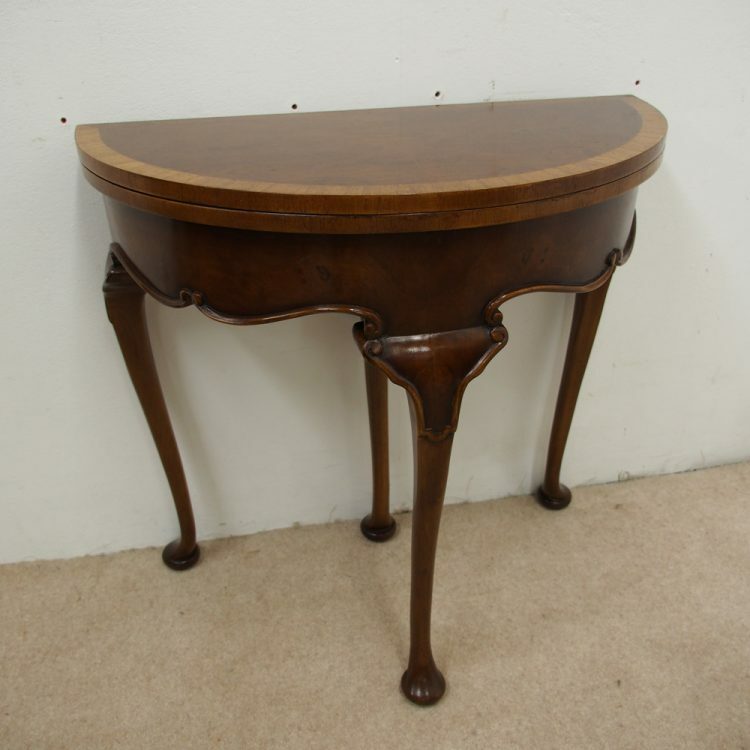 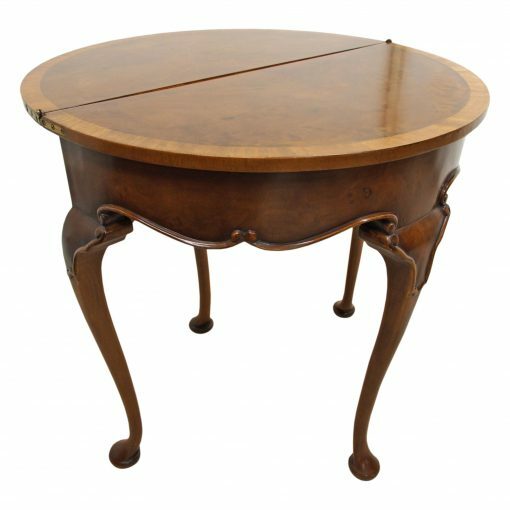 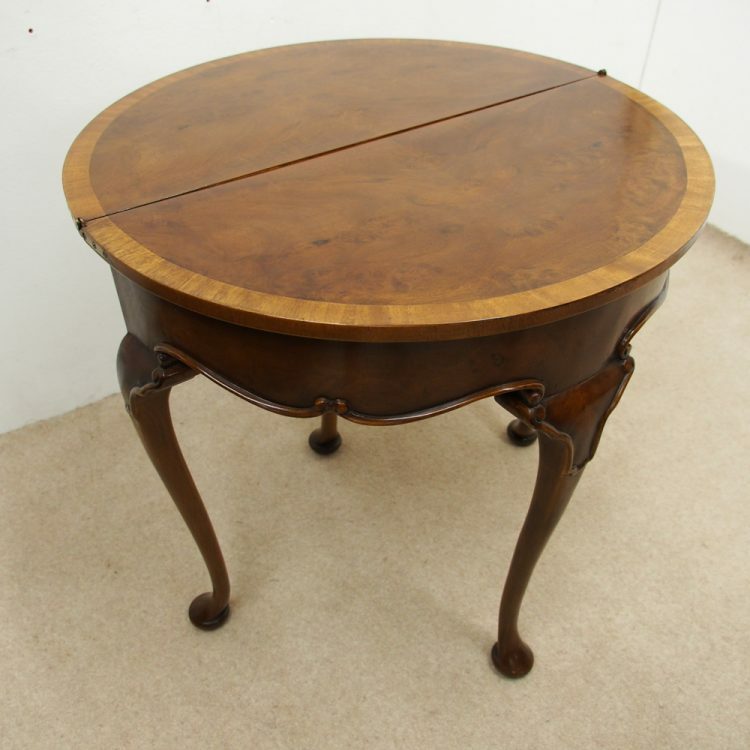 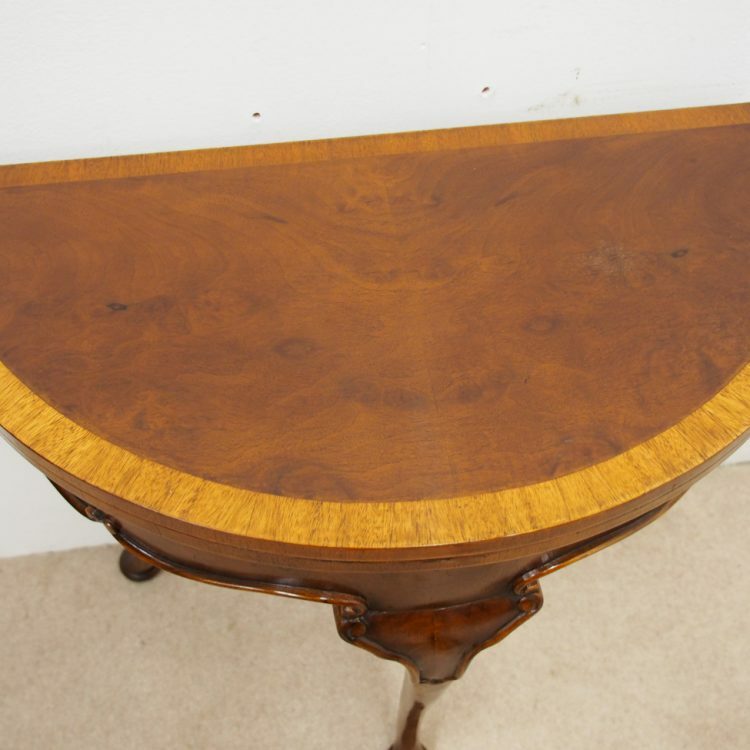 Circa 1930s, George II style walnut and satin birch cross banded D shaped fold over card table. 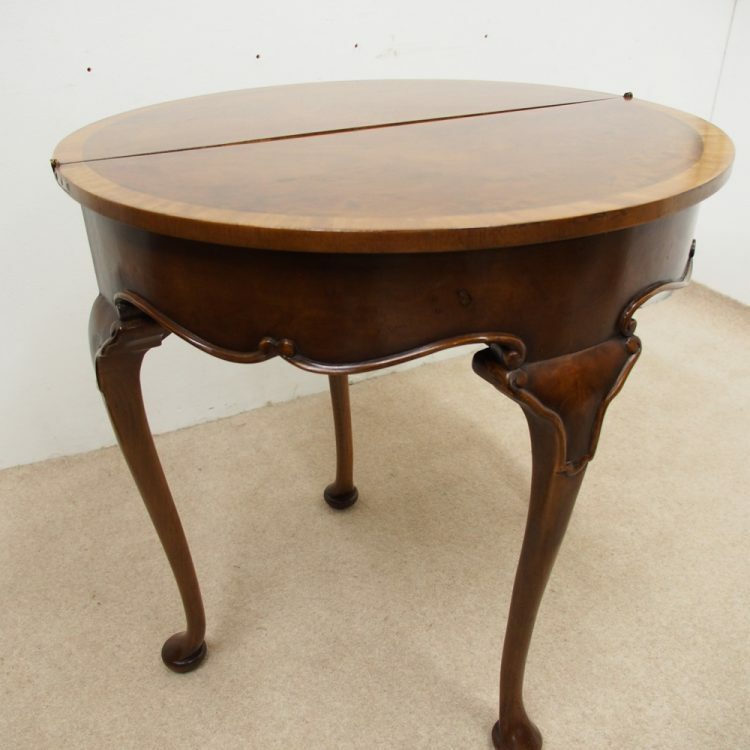 With a walnut top and cross banded section the top is hinged, opening to reveal a similar style interior. 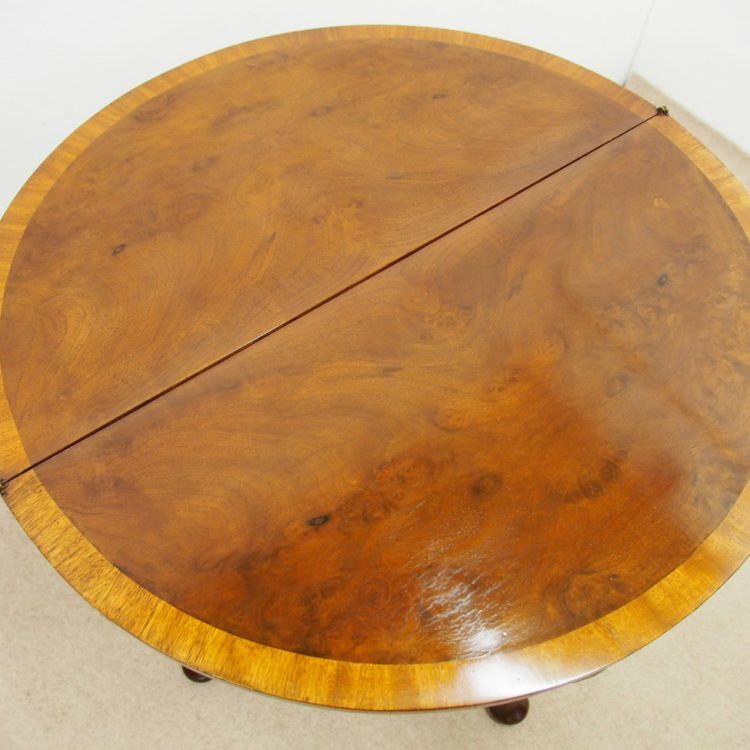 There is an apron to the front veneered in burr walnut with C scrolls running into each other. 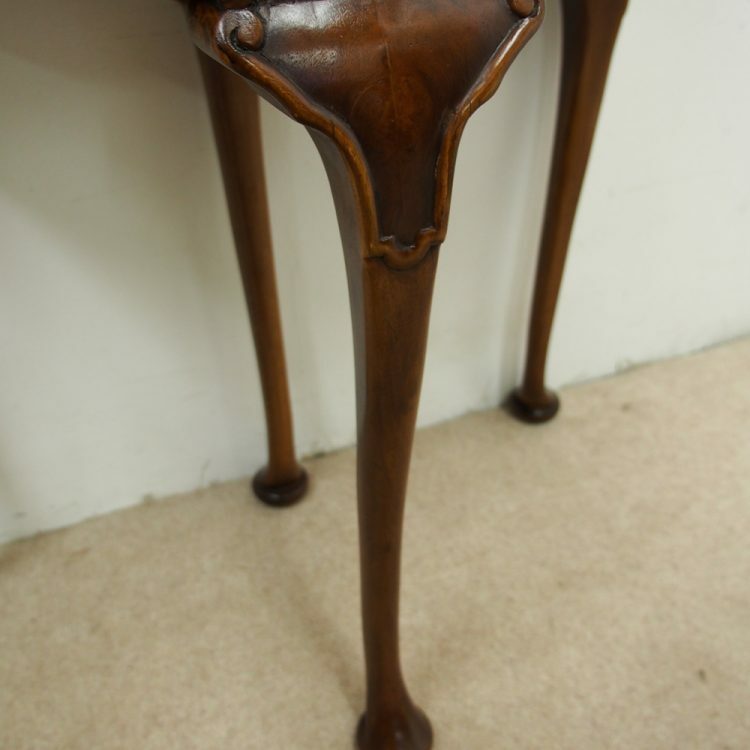 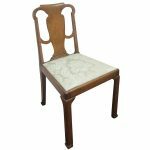 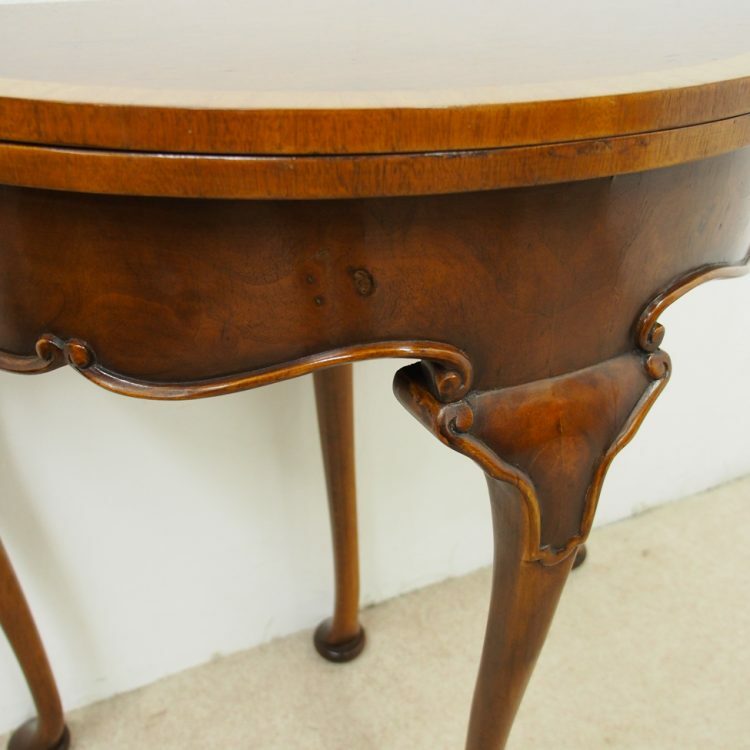 The table has 4 stylish cabriole legs carved with C scrolls and a beading which tapers down the back leg in the centre, finishing on a simple pad foot.